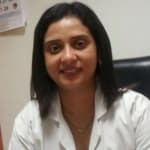 Dr. Ritu Arora is one of the best Pathologists in Sector 2, Faridabad. She has over 19 years of experience as a Pathologist. She is a MBBS, Diploma in Clinical Pathology . You can meet Dr. Ritu Arora personally at Mediquest Diagnostic in Sector 2, Faridabad. Save your time and book an appointment online with Dr. Ritu Arora on Lybrate.com. Find numerous Pathologists in India from the comfort of your home on Lybrate.com. You will find Pathologists with more than 31 years of experience on Lybrate.com. Find the best Pathologists online in Faridabad. View the profile of medical specialists and their reviews from other patients to make an informed decision. Pain in the Hands or Legs! Problems with the arteries and veins present in the hands or legs can lead to vascular disorders. The arteries carry blood from the heart to other parts of the body in order to deliver nutrients and oxygen. The veins carry the blood back to the heart, after the nutrients have been used up. If these blood vessels of the arteries or veins become blocked or narrowed, it can lead to a vascular blockage. Physical Examination – Your doctor may find decreased pulse at armpit, wrist or fingers, full veins, masses, wounds or gangrene. Treatments for vascular blockage can vary depending on the age, cause of the blockage, intensity and overall well-being. Self-care – Reducing risk factors and making lifestyle changes to quit smoking, sedentary life or diabetes, blood pressure and cholesterol management can reverse symptoms of vascular disease. Medications – A variety of drugs can be prescribed to lower the risk and progression of narrowing blood vessels or prevent blood clotting. Interventional Procedures – Minimally invasive surgery like saloon angioplasty, stenting or removal of artery plaque build-up. Surgery – If the blockage is severe, surgery may be performed to lessen the vessel narrowing, reconstruct the artery or tie it off, depending on the circumstances. I have pain in whole body (chest, back, legs, shoulders & head) and stop cough & cold as nose closed or problems in breath taken and more pain in head. Please suggest any medicines for me. Mujhe bahut dard h hath me so dum sunn ho gye h koi dawai batate or suggestion bhi please thoda jaldi. If there is no history of injury. Start taking Vitamin D and Calcium (Cap BIO D3 Plus) for 2 months. I am suffering from full body pain and my bones is weak. And I am also feel always tired. It may be due to increase uric acid problem, take ors, multivitamins, you need proper homoeopathic treatment to cure your problem permanently. Leprosy - Can Homeopathy Help in Treating? Leprosy is also known as Hansen’s disease. It is a chronic dermatological disorder caused by the bacteria Mycobacterium Leprae. The peripheral nerves and mucosa of the upper respiratory tract are affected by the bacteria. Leprosy starts by the appearance of scaly skin lesions. If not treated in the primary stage, it can progress rapidly and cause permanent damage to the skin. It can damage the eyes, nerves and limbs. Leprosy can be moderately contagious, therefore it is necessary for the patient to be quarantined during the course of the treatment to prevent the spread of disease among other family members. It has been noticed that after prolonged homeopathy treatment, almost 80% cases have been cured and improved. The patients have recovered senses in their limbs; the wounds have improved and in some cases, miraculously disappeared. There have also been cases where patients have responded better to homeopathic treatment than the multi-drug treatment regime that most doctors prescribe to leprosy patients. This could be because homeopathy is the safest and a non-toxic remedy to most diseases that does not complicate the health by causing adverse side effects. A wonder medicine used for the treatment of leprosy is an anti-syphilitic medicine called Mercurius Solubilis. With an extremely high potency of 200, it is known to be an excellent remedy for leprosy. Homeopathic medicines are selected based on the symptoms. First the treatment is done on the symptoms so as to provide relief as soon as possible. Homeopathic medicines then act on the root cause of the disease, also providing bacterial resistance. It helps to retard the progress of the disease. Along with it, homeopathic medicines also help to reduce lepra reactions, and start reviving the damaged nerves, limbs and skin. It also strengthens the immunity system. I have body pain. Not at the joints. Pain at thighs and arms. It is not a heavy pain. My friend is suffering from severe body pains due to over exercise. How to reduce those pains? 1. Take one tablet of crocin advance as and when required after food up to a maximum of 3 tablets daily, 2. Drink plenty of water 3. Take adequate rest. Hi doctor, I am having slight pain near to right ear and right hand finger bows for last 3/4 days. Some days I used to sit and do my homework upto 1/2 o clock night. And now I feel too much tiredness during the day time. I am 25 years old. Is it because of lack of exercise or low blood pressure? What should I do? My mother sometimes have cold , cough and because of that sometimes she has problem in breathing ,pain in body and indigestion .can you tell me any ayurvedic or home made remedies. Dear lybrateuser, -She should avoid cold fluids, have more of warm fluids like water, tea, coffee, soup -do steam inhalation 2-3 times a day & warm salt water gargles three times a day -she can take one teaspoon of honey in one glass of warm water -mix half teaspoon of haldi & pinch of kesar in one glass of warm milk -avoid spicy, sour & fried foods, she should have more of fruits & vegetables including green leafy & seasonal ones & make them with onions & garlic.